If I include our kindergarten year with our oldest, we just started our 10th year of homeschooling. I’ve changed so much as a homeschooling mom over the years, as I’m sure many of you have as well. We try different curriculums, routines, systems, all hoping to stumble across the perfect thing. 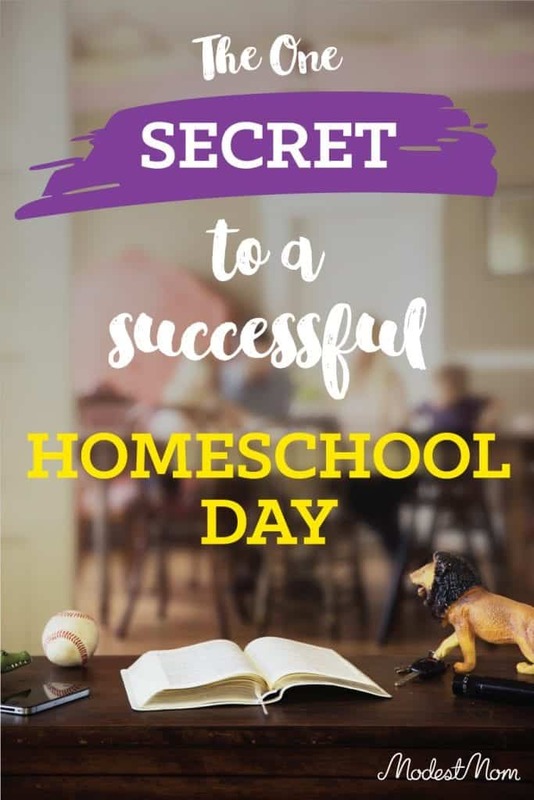 Do you want to know what one of the most important secrets I’ve learned for a successful homeschool day? Before you click away in frustration because it’s the last thing you want to hear, let me say I’ve been there many times. I hate schedules. I love the concept of being more of a free spirit. I love cuddling on the couch with a book and hot chocolate, or randomly surprising the children with a trip to the park during the school day. I’ve read the Maxwell’s Manager of Their School Day book and promptly closed it, thinking there was no way I would ever implement that. The more our family grows, and the older my children get though, I’ve realized I must change my ways. There is a place for routine. Organization can be a huge blessing for a school day. Children can actually thrive on routine and/or schedules. Now this doesn’t mean you have to put up sticky notes all over your wall, create a rigid time clock and march around with a whistle in your mouth acting like the Captain in The Sound of Music! If you have all little ones, enjoy the snuggles and the easier days. But as your family grows, you just might have to change your ways and embrace more routine. This has never been more evident to me than this school year. I’m juggling six children for the first time and a 9th grader who I must do grades with, count credits, and make a transcript for. I also must help my 7th grader realize that his school year is more advanced and that he must apply himself in a different way. Thankfully my 5th grader is the homeschooling student every parent dreams of, and she will do school herself even on the days I’ve declared a day off (for some odd reason, lol). She willingly doubles up and loves to stay on track. 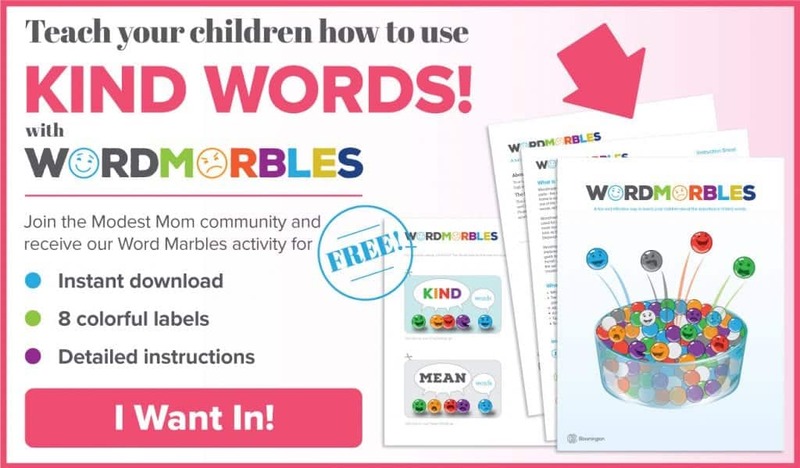 My 3rd grader wants to have more difficult school this year, my first grader is learning how to read, and my 3 year old asks me non-stop all day when she can do more school! I can’t do all this with my head in the clouds! So while children may whine and have bad attitudes, the house may not be perfectly clean, or you may have learning difficulties you are trying to deal with, in the end your attitude and how prepared you are for the school day can be the one thing that makes or breaks it. And there are plenty of days when I don’t want to accept that. Now I’m not going to sit here and say that our children have nothing to do with a good school day. I’m big on teaching children good character and enforcing consequences. If you have a child throwing a fit all day and refusing to do what you ask or handing in poor work, that definitely throws a wrench in your day. If you have a child with learning disabilities who struggles to understand basic concepts, your day is going to look different than others. 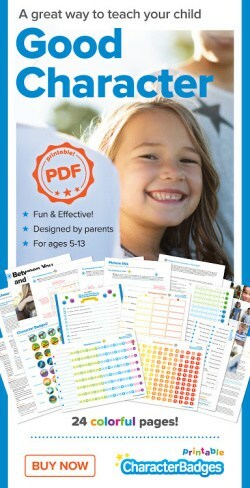 But if you want the secret to a successful average homeschool day, here it is (at least for me!). Have a routine. You can put times on it or leave them off and just create a flow chart. I ended up putting times on mine (which I normally avoid!) 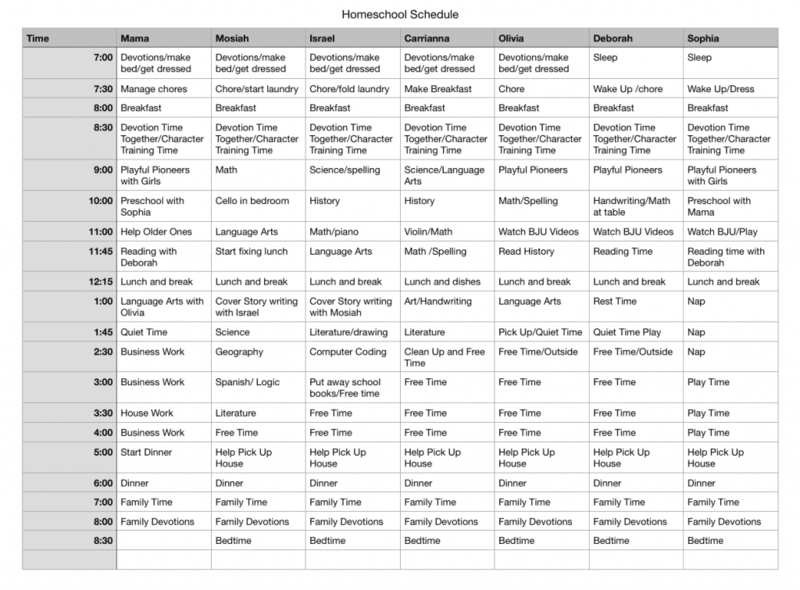 because it is helpful for my older children to see how much time they are supposed to be taking for certain subjects. Hang it up where everyone can see it. When I make up a system and just keep it in my homeschool planner, it is hard to enforce because the children can’t easily see it. Make it realistic. You can always go back in and tweak the schedule. I gave my oldest son more time than he might need per subject, just because I wasn’t sure if he would need it for his high school year. I’m going to go back and tweak it in a few weeks once I get a better feel for exactly what times he needs. Give yourself grace. This routine is a tool to help you, not a slave driver. We rarely have a day where everything flows perfectly, but it’s a lot better compared to the chaos of no schedule or routine. Lots of deep breaths, quick bathroom breaks for a minute to yourself (if there is such a thing! ), and enforced quiet time in the afternoon. You can’t give every single second of the day without recharging, and a quiet time for everyone in the afternoon can be the perfect time for that. Your older children don’t have to sleep, but they know you are going to lay down, or go read, or do something quiet by yourself while the younger ones rest. Here is a look at the schedule we have for this year, but please know that I use it more of a routine then a strict schedule. I think we started strictly on time once in three weeks! That’s ok!! It just helps me get a flow out on paper of what our day could look like, and helps me organize my time between my younger and older children. And believe me, my older children come to me all throughout the day with quick questions, or requests to unlock the iPad for school (we keep our electronics all under codes so children don’t have easy access to them). If it helps you at all when looking at our schedule, the ages of our children are 14, 12, 10, 8, 6 and a very active 3 year old! One more thing, just because it shows a longer time (for example 45 minutes of language arts with my 3rd grader), it does not mean that we actually take that long. I just have it scheduled to fit in with the time of what everyone else is doing. So don’t assume that you should be doing the same length! 🙂 Do what works for you and your children, I know it can be SO easy to compare and feel like you should be doing what someone online is doing! I’m a blogger and I do it myself! You can check out our 2018-2019 Homeschool Curriculum Choices if you want to get a better idea of what curriculum we are using for our children! Do you have a routine that you try to follow each day? I’d love to hear! 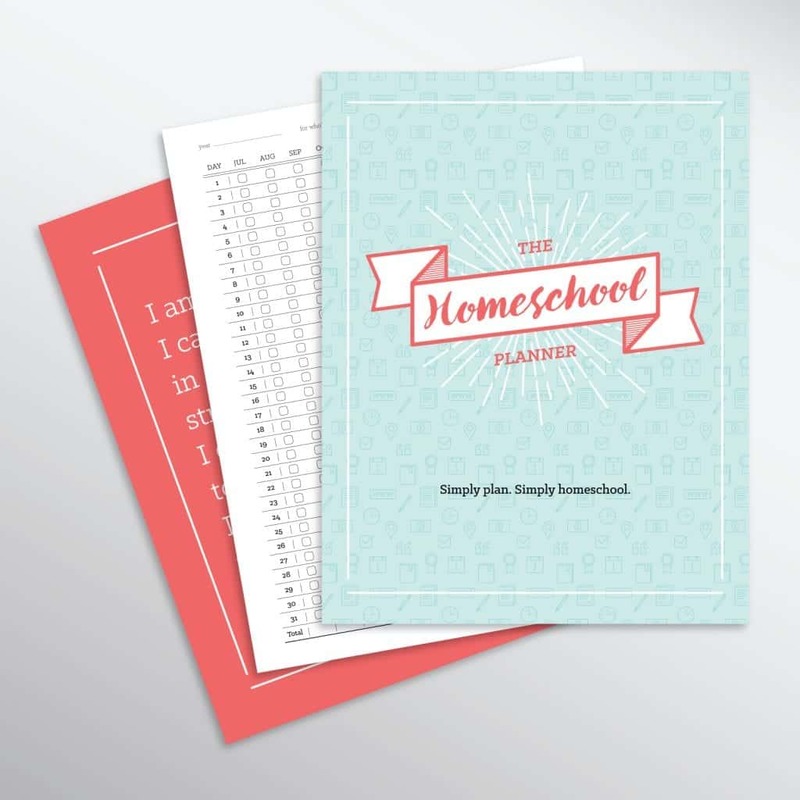 If you need more help in being organized in your school day, check out our Homeschool Planner! It has enough space for you to keep track of several children, and since it’s undated you just purchase it one time and use it year after year! I think you’re right. I’ve been trying to juggle our days without a schedule. I too love the idea of having freedom to just live without all those time restrictions….but with 6 school age kids I feel like a headless chicken trying to help everyone with their work. My older 3 kids LOVE schedules, but this mama struggles. I’m so easily overwhelmed and distracted! What did you use to format your schedule? Thank you so much for this lovely article! I have printed it off to have for later, and have also printed your schedule to study in order to create my own. I actually love schedules and have tried repeatedly to create one for our family, but I tend to just fall further and further behind as the day goes on – I really need to work on that. Thank you for the encouragement. Hoping that the postpartum time with little Baby Emily is treating you gently! Hi Caroline! This was a good reminder that as moms of many, we can’t afford to fly by the seat of our pants. It takes self discipline for mom to make things happen. What a great reminder! All kids thrive on order. They need to know what’s expected of them, and when school will end. I love relaxing and hanging out with my kiddos, but if we don’t stick to a schedule, we accomplish so little and the kids (and mom) end up with bad attitudes. One thing that helps is to get up before the kids. That way you have a little time to prepare your mind and heart for the day instead of hitting the ground running. Even half an hour helps. I know how difficult this can be when you are exhausted from illness, pregnant, or nursing, and there are seasons when it is good to just rest, but as a mom of 9 ages 16 down to 8 months, I have learned that the most important attitude is my own. It’s true that you can’t avoid hiccups in your day, and that sometimes it’s necessary to put on the brakes and linger over a particular subject or child, but the longer I’ve done this, I’ve come to realize how much everything hinges upon my willingness to be on the ball.